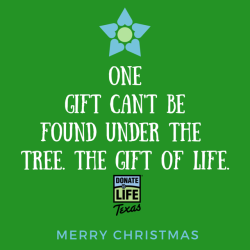 This season, Donate Life Texas is pleased to offer a new, unique and meaningful way to celebrate the special people in your life - through a financial gift to support the Donate Life Texas organ, eye and tissue donor registry. Using this portal, you can send personalized E-cards to family and friends letting them know you've made a donation to Donate Life Texas in their name or as a tribute to a special person such as a Donor Hero, donor family member, healthcare professional, transplant recipient or other Donate Life advocate. These are just a few of the designs you can choose to go with your personal message. And, you can send as many cards as you like with a single donation. Donate Life Texas is solely funded by donations, including those made by Texans when applying for or renewing their state-issued driver's license or ID cards. 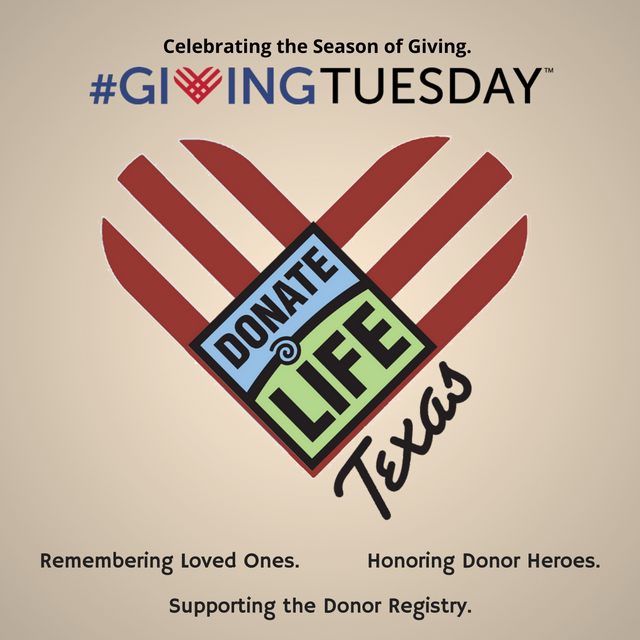 These funds are used to maintain the donor registry and to continue public education efforts about the lifesaving importance of donation and joining the Donate Life Texas organ, eye and tissue donor registry. This gift may come without ribbons and bows, but your generosity will help bring hope to the thousands of people in need of transplants and all those who love them. To begin, please enter your information using the secure web form below. 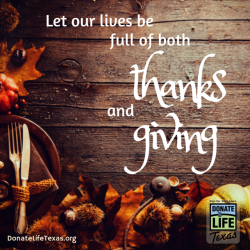 Donate Life Texas values your trust and respects your privacy. Your personal information will not be shared with anyone. Please click Next to continue.